Newest arrival: DynaMop ® new elegant champagne gold color series now available in hand pressing "plunger" model. 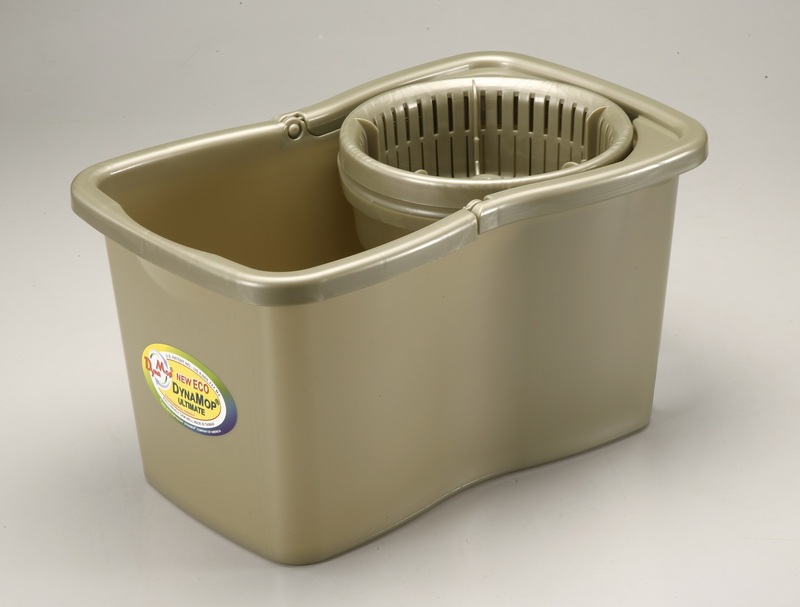 The new gold series comes with slightly larger capacity square bucket. This item features a Gold Medalist spinning mechanism at the Paris Int'l Invention Show & Contest that delivers a centrifugal force of 3500rpm which is 3 times faster than the second brand. ALL NEW HAND-PRESS 360° SPIN MOP, NO NEED TO PEDAL. 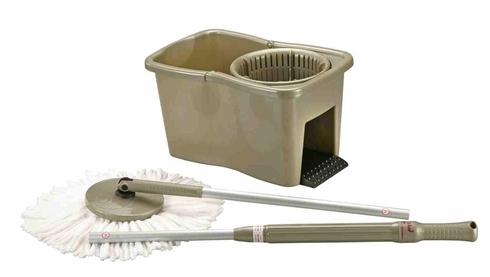 DynaMop® Eco-Plunger style hand pressing 360° spin mop. The DynaMop ® Eco Plunger comes with the Gold Medalist self-powered handle. 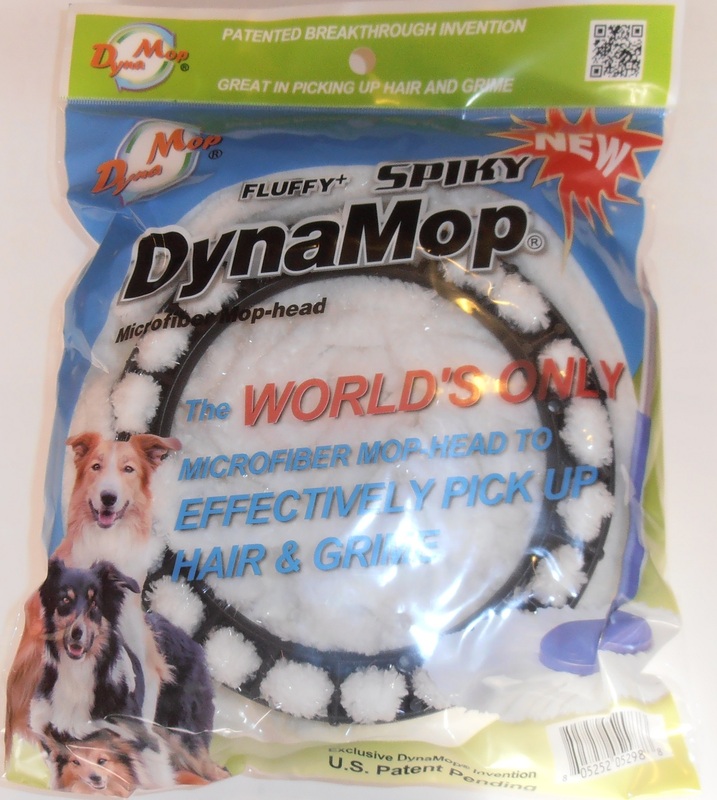 The new design enables the spin mop to spin at easy just by hand pressing action. Highest efficiency hand-pressing spin (up to 3500+rpm) dries the mop head thoroughly with ease. 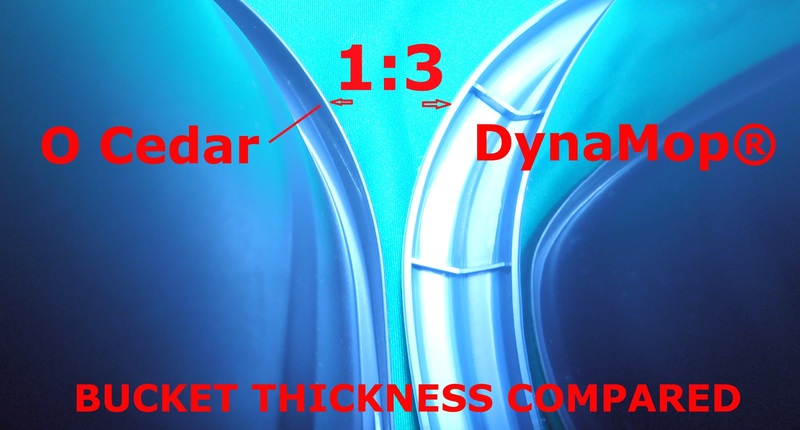 DynaMop ® patented hand spinner best utilize leverage to deliver highest spin speed with least efforts. * GOLD MEDAL awarded to DynaMop ® by [Concours Lepine] Paris Int'l Invention Show & Contest for our new patented "Clutch" style spinning mechanism.